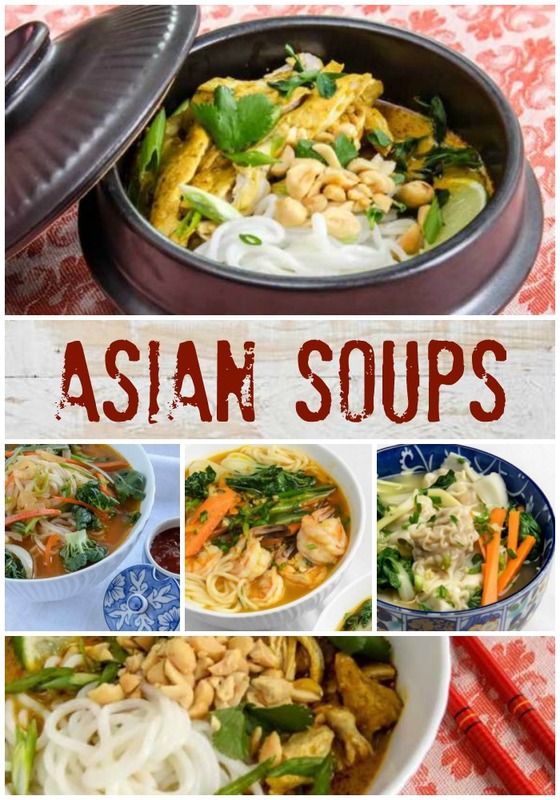 Pok Pok: Food and Stories from the Streets, Homes, and Roadside Restaurants of Thailand may be the most talked about cookbook of the year. It is certainly a hot topic in Portland, where Andy Ricker’s namesake restaurant reigns supreme. Good luck getting a table at Pok Pok. Waits can be hours, not minutes. 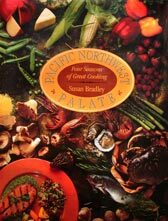 But with the debut of the ground-shifting cookbook (it’s spectacular), most of Pok Pok’s famous dishes are within the grasp of the adventurous, intrepid home cook. You will of course have to make a trip to one of the pantheons of Asian foods (see the list below) to score the special ingredients. But that’s half the fun. You will be rewarded by the BEST Vietnamese chicken wings in the world. Chicken Candy! I’m definitely addicted. The irony with these Vietnamese chicken wings is that they were developed for a Thai restaurant. And as Pok Pok owner, Andy Ricker, says, “They pay the mortgage.” That’s because nobody but nobody goes to Pok Pok and neglects to order Ike’s Vietnamese Chicken Wings. So who is this Ike guy? He’s Pok Pok’s first employee, Vietnamese transplant, Ich Truong. And he’s a genius. Ike’s Vietnamese Chicken Wings have taken the food world by storm. In Portland, Oregon, people get all dreamy-eyed when you even mention them. They are the stuff of legends. Imagine chicken skin so crisp that it shatters when you bite into it. 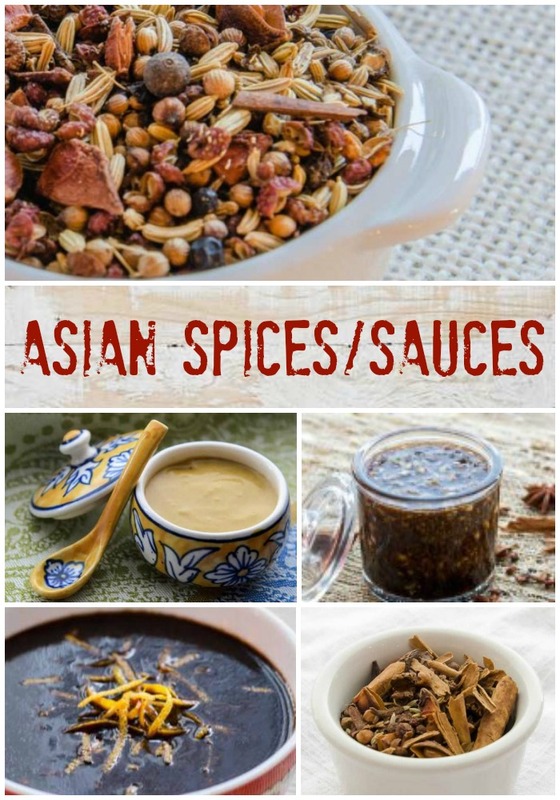 A sauce coating so savory and caramelized that you gladly tolerate it smeared all over your face and hands. And juicy, succulent, garlic-infused chicken. Add a little heat to all this, and you’ll battle with your best friend (sorry MauiJim) for the last wing. The trick to making these delicious wings is advance prep and organization. Make sure your garnishes and any other dishes are ready before you fry the chicken. You want to eat these hot from the wok. Technique Note Pok Pok serves these wings whole, with wing tips attached. I cut the wings through the joint into two pieces and then cut and discard the wing tips. They’re easier to eat this way, if not quite as dramatic to serve. 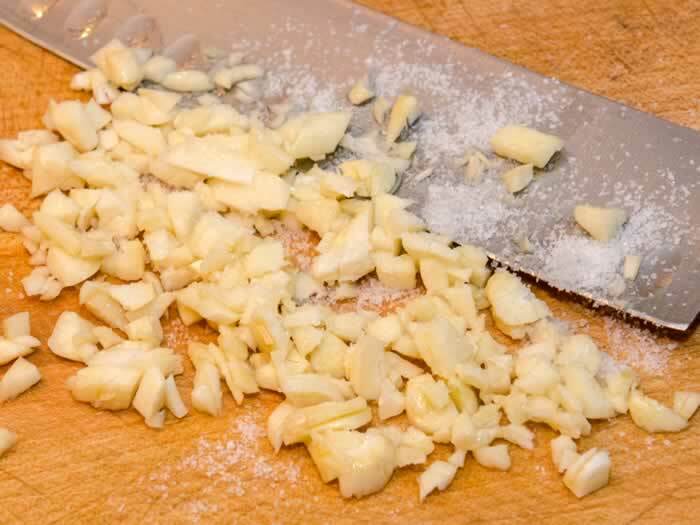 To prepare garlic, sprinkle chopped garlic with salt and mince. Scrape into a small mixing bowl, add warm water, and let macerate for a few minutes. 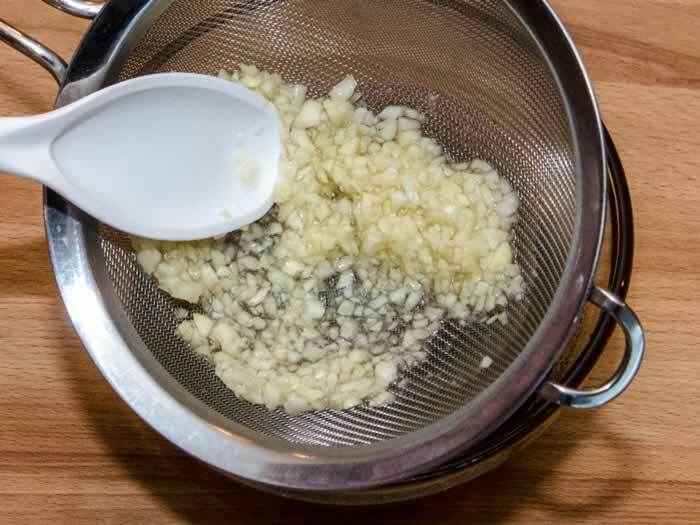 Strain liquid through a triple-mesh sieve set over a small mixing bowl, and smash the garlic firmly against the sieve to extract as much juice as you can. Reserve smashed garlic. To begin the sauce, add fish sauce and sugar to bowl of garlic water, and stir until dissolved. 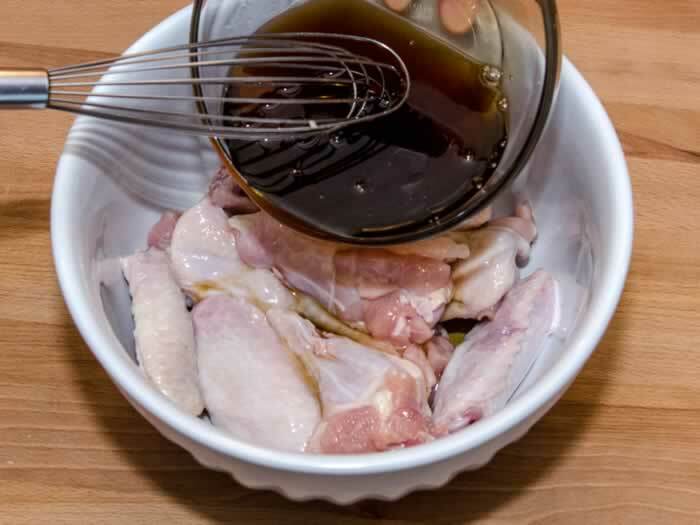 To marinate chicken wings, put chicken wings in a separate large bowl, add ½ cup of fish sauce mixture and toss well. Cover and refrigerate wings for 4-24 hours, tossing several times. To finish the sauce, add ¼ cup of water and chile paste to the remainder of sauce, cover, and reserve in the fridge. Just before frying, transfer wings from fridge to a colander set over a bowl, and let drain for 15 minutes. 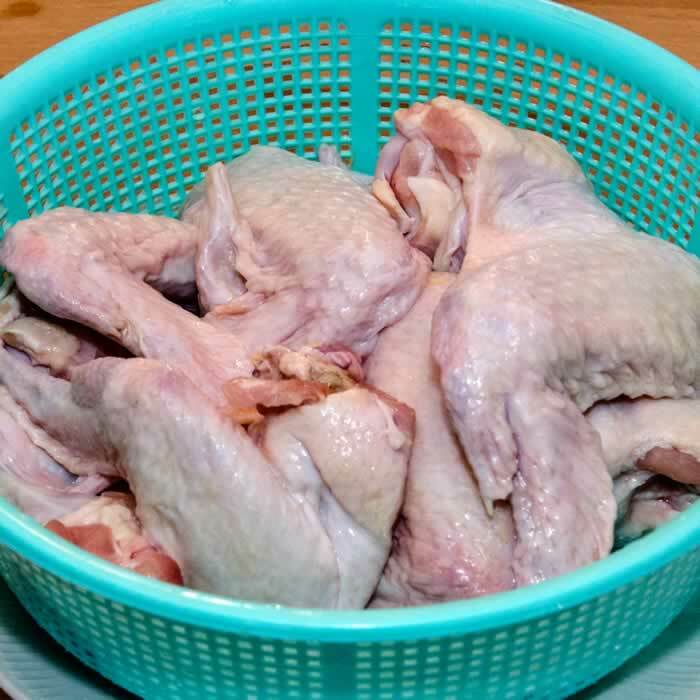 To dredge chicken wings, in a large mixing bowl, whisk rice flour and tempura batter mix. Toss the well-drained wings in the flour mixture to coat well. 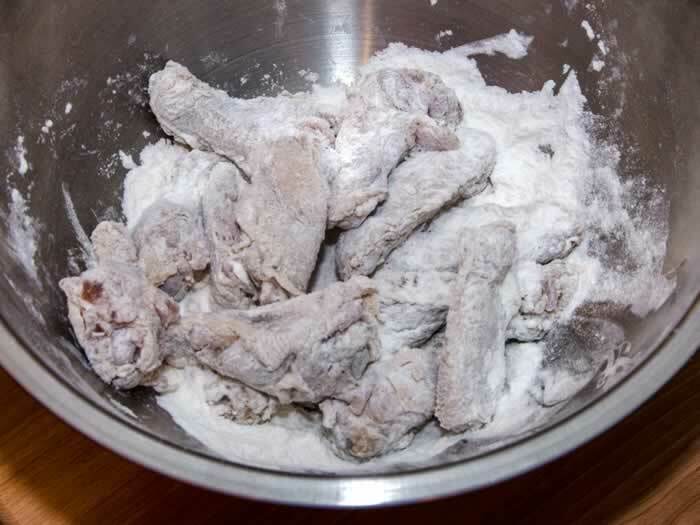 Just before frying, tap excess flour from each piece of chicken. 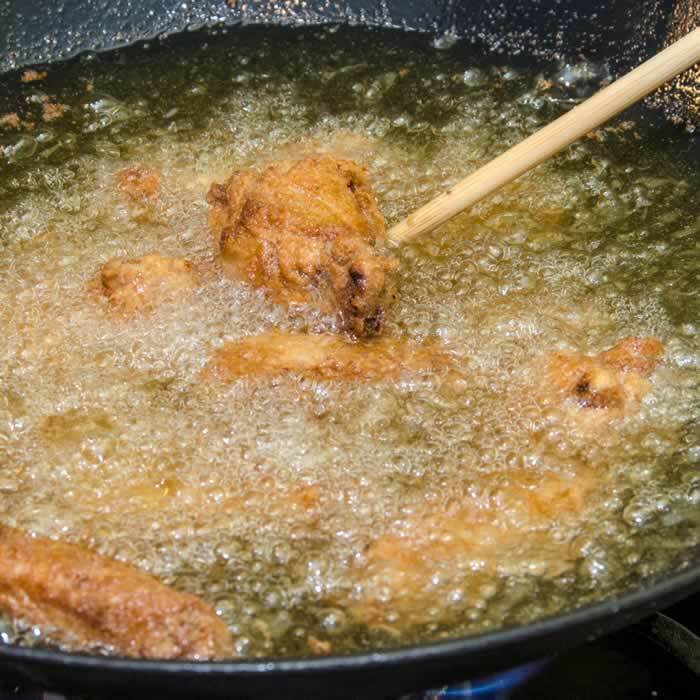 To fry chicken wings, in a heavy wok, add enough oil to submerge the wings, about 2 inches. Bring oil to 325°F. Fry half the wings at one time, moving them around periodically with a long chopstick. When wings are golden brown and cooked through, about 10–12 minutes, use long-handled tongs to transfer them to a paper towel-lined cookie sheet to drain. 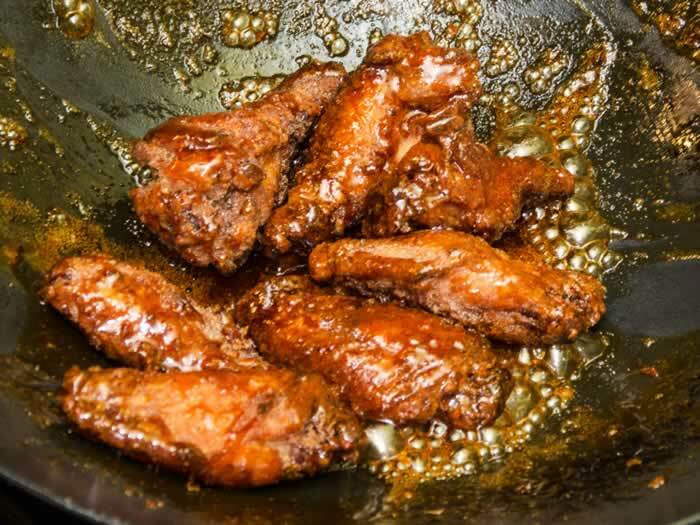 To glaze chicken wings, in a heavy, preferably nonstick, wok, whisk and add half the reserved sauce mixture, bring to a full boil, and reduce to thicken, about 45 seconds. Add half the wings and toss until a caramelized glaze coats the wings, about 1 minute. Add 1 tablespoon of the fried garlic and toss well. Repeat with the next batch of wings. Serve wings on a platter with pickled vegetables, cucumber spears, and herb sprigs. Serves 4 (or 2 if it’s me and MauiJim). You can definitely see yiur expertise in the work you write. The sector hppes for even more passionate writes like you who aren’t afraid to say how they believe. Thank you Pech! 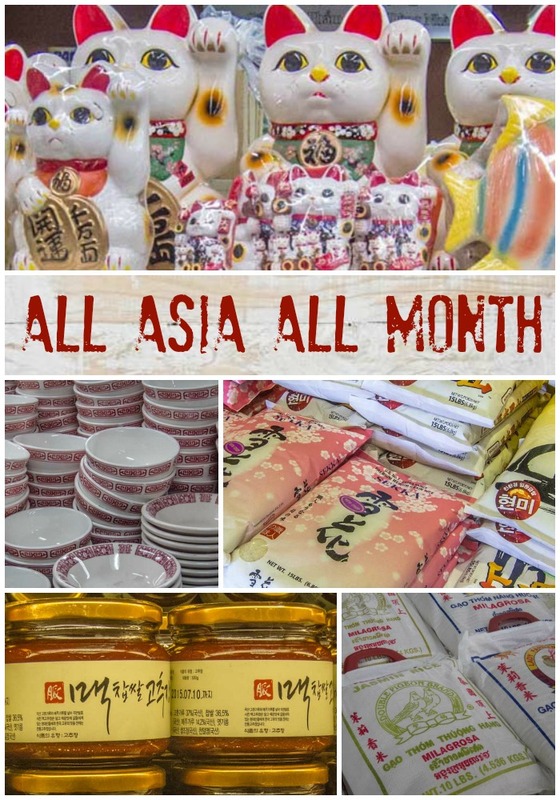 🙂 Here’s the list of Asian food marts I regularly shop at in Portland. H Mart and Fubonn are my favorites. 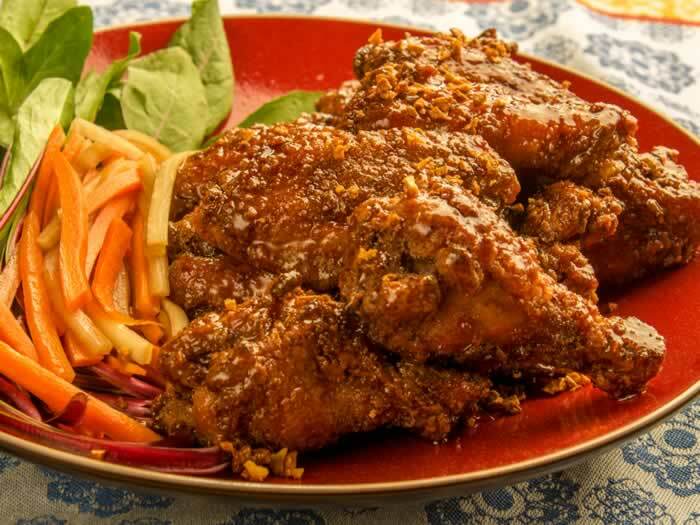 Love pok pok wings and these look amazing! Oh, Good Lord!! 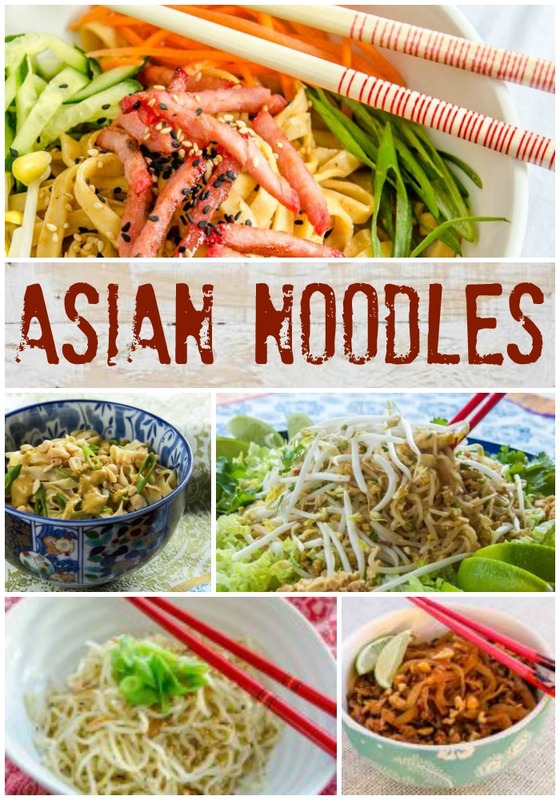 I just have to make these – I’m not even hungry and I’m yearning for them. Thanks for sharing.